Q1. What famous actor portrayed U. S. Marshall Matt Dillon in the CBS radio version of Gunsmoke (1952-1961)? Q2. What character did John Wayne (the ultimate western movie actor) play on Gunsmoke? 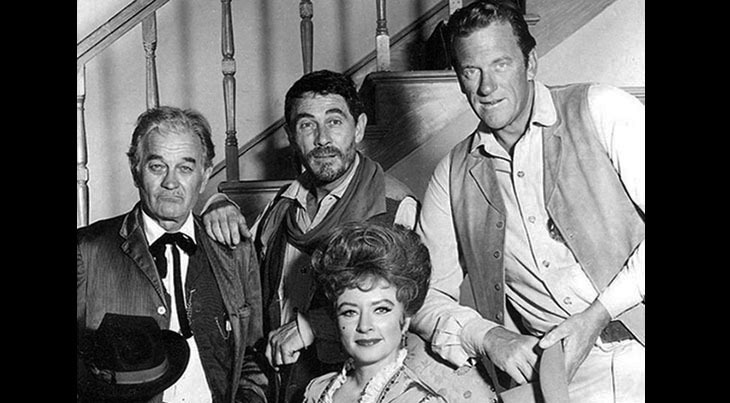 Below, the cast of Gunsmoke in 1967-1975, actors clockwise from left: Milburn Stone, Ken Curtis, James Arness, and Amanda Blake. The baby boomer generation grew up with Gunsmoke, the longest running US television series in the 20th century. It started as a black & white, 1/2 hour television show in 1955 and by 1966 it was being broadcast in glorious colour for a full hour (until it's run ended in 1975). Gunsmoke inspired comic books, 5 follow-up movies (between 1987-1994, all starring James Arness), and numerous books. Set in 1870's Dodge City, Kansas, Gunsmoke's lead character, cowboy & U. S. Marshall Matt Dillon was played by actor James Arness for the entire 20 year run of the show. AS Marshall Matt Dillon, James Arness fought the bad guys in every episode. 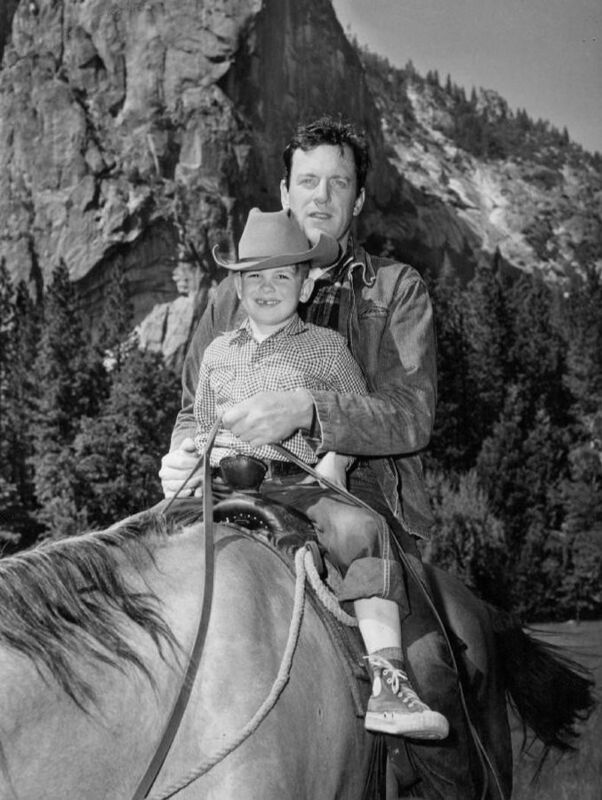 In real life James Arness was a highly decorated (Bronze Star, Purple Heart & more) WWII hero who was injured while serving in Italy in 1944; he underwent several surgeries and had chronic leg pain for the rest of his life, making getting on a horse sometimes painful and difficult. Limping deputy Chester B. Goode (actor Dennis Weaver from 1955-1963). Galen "Doc" Adams was played by Milburn Stone for all 20 years of Gunsmoke. Friendly saloon owner/prostitute Miss "Kitty" Kathleen Russell was portrayed by actress Amanda Blake from 1955-1974. Part-time deputy, hillbilly and often comic relief Festus Haggen (Ken Curtis from 1964-1975). Back-up deputy Newly O'Brian (played by Buck Taylor from 1967-1975). Part-Indian blacksmith Quint Asper (Burt Reynolds from 1962-1965). Sadly, except for Buck Taylor and Burt Reynolds, both of whom are now senior citizens in their late 70's, the rest of these actors have since passed on; Milburn Stone was a septuagenarian senior citizen when he died in 1980 (age 75); Amanda Blake in 1989 (age 60); Ken Curtis in 1991 (age 74); Dennis Weaver in 2006 (age 81), and more recently, octogenarian senior James Arness died in 2011 at the age of 88. 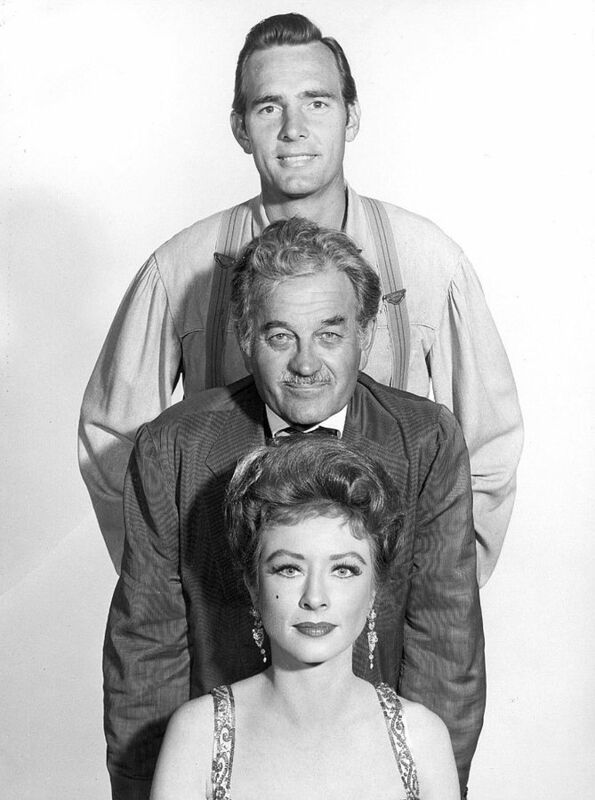 Among the many actors who guest-starred on Gunsmoke during the 10 years the series was on the air, were Mark Miller, Beverly Garland, Pernell Roberts, and others. A1. William Conrad (Cannon) was the star of the radio series Gunsmoke. Conrad was considered too heavy to portray Marshall Dillon in the Gunsmoke television series. A2. Himself! Since John Wayne was a friend of Gunsmoke series star James Arness, had co-starred with Arness in 5 movies and recommended him for the role of Marshall Dillon, he introduced the very first television episode of Gunsmoke in a prologue (see video below).